AG Surveyors is a partnership established in 2018 by Andrew Gagie and his wife, Jill. Operating from the Bartonfields Centre, Church Broughton, Derbyshire in a newly converted office complex with modern facilities, the business is conveniently located to serve customers from Staffordshire and Derbyshire alike. Andrew is a qualified chartered surveyor and agricultural valuer with 25 years experience in private practice. Since studying at the Royal Agricultural College, Cirencester Andrew has been employed at the Ashbourne and Uttoxeter offices of Bagshaws LLP. The new venture to establish AG Surveyors is a natural move forward with this experience at hand. Andrew is assisted at AG Surveyors by his wife, Jill. Jill is first and foremost a livestock farmer with a lifetime of experience in cattle and sheep husbandry. Together the day to day life of farming and rural surveying mean they are well placed to understand and respond to customers’ needs. AG Surveyors is experienced in a full range of Rural Surveying Services. Principally acting for farming families and individuals throughout Staffordshire, Derbyshire and surrounding counties. Andrew is looking to continue offering traditional services and advice as well as responding to new challenges that the future holds. Subsidy and grant applications, Farm Assurance and Cross Compliance Assistance, NVZs, Appeals and Disputes. A wide range of Landlord & Tenant matters including tenantright valuations and dispute resolution. Valuations of Properties, Livestock and Deadstock for sale, purchase, taxation, stocktaking, partnership reasons. Licences, Tenancies, Share Farming and Contract Farming Agreements. Seasonal Sales of Grass and Straw. Acquisitions, Easements, Wayleaves be it for electricity, water, gas, road, rail or any other purpose. 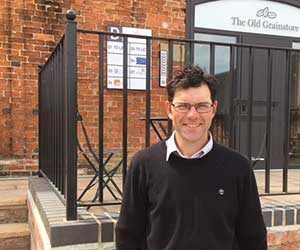 Andrew has worked for us over a number of years and overseen our BPS and stewardship applications during a period of transition in our business. I would be happy to recommend his services to others. Andrew has carried out a range of work for our family partnership for many years. He has experience in a broad range of subjects and works reliably and professionally. Congratulations on your new business venture, I would be happy to continue to use your services for my subsidy application. In your message tell us about the nature of your business, the service(s) you require and any other useful information relevant to your enquiry. We will get back to you as soon as possible. If your enquiry is urgent then please call us.